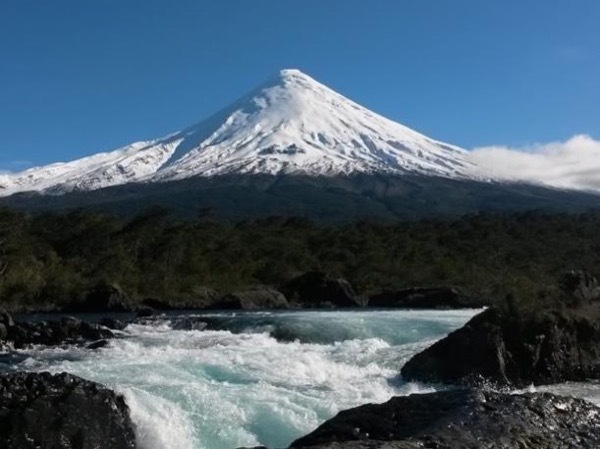 Traveler Reviews for Private Tour in Puerto Montt, Los Lagos, Chile by Tour Guide Miguel H.
Miguel was on time to pick us up at the ship, and we quickly headed out of town. Unfortunately, the weather wasn't so good and the volcano was totally covered in clouds. Miguel still took the time to drive us to the top. We did see the falls and enjoyed them and Miguel gave us good suggestions for lunch in his home town. For us, it would've been too much time shopping/eating. We did see some city views upon return and too and drive along the ocean. The scenery is spectacular. Interesting! Miguel was a fantastic guide - friendly, knowledgeable, interested in giving us the best experience possible. His English is great, and he was very patient in allowing me to try out my Spanish as well. The heart of our tour was the visit to the Petrohue falls in the Vicente Perez Rosales National Park along with the hiking around the Laguna Verde. Miguel shared a lot of natural and cultural history as well as making sure that we were able to take our time and see everything! Fabulous tour! TOUR GUIDE RESPONSE: Pamela! Thank you so much for your comments. That helps to keep guiding as I really feel that we have to do it: closer and friendly as you wrote. Thank you again to let me show this wonderfull part of my country! See you soon!